Once the top layer of asphalt starts to fade away, erosion can take place. Living in Michigan, it’s much worse than most states. Every winter there is constant thawing and freezing that destroys asphalt all across the state. Cracks will form and allow ice and water to gain access into the Asphalt. Sealcoating can help protect your driveway from the damage caused by weather, oil & gasoline spills, oxidation and normal usage that can cause expensive damages. Sealcoating can give your driveway a nice jet black finish as if it was brand new. Sealcoating will seal cracks and fractures caused by the weather and keep ice and water from damaging your driveway. Because the sun damages the rubber, sealcoating adds binder to asphalt which will add a layer of protection from oxidization. 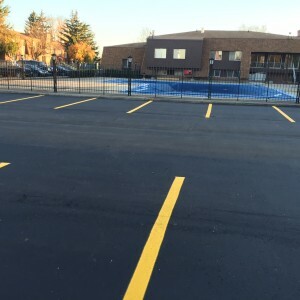 Action Asphalt, LLC has been in business since 1978 and offers the best sealcoating services around. If you are wondering what it might cost then pick up your phone and contact us today.